Netflix has put out a bunch of films. Some are good. Most are bad. One is A Christmas Prince. But little of the streaming behemoth's cinematic output has been affixed with the label "masterpiece." Except for Roma. 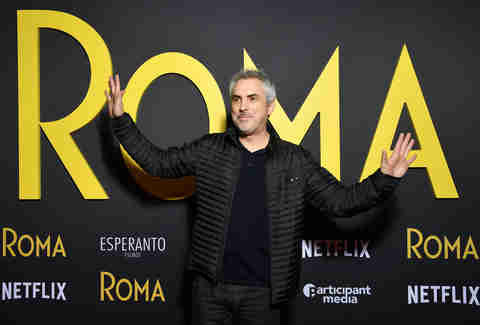 Roma, which hit the streaming platform December 14, is the latest from Oscar-winning Mexican director Alfonso Cuarón, who has made acclaimed films like Y Tu Mamá Tambien, Children of Men, and Gravity. (He also made one of the best Harry Potter installments, The Prisoner of Azkaban.) Netflix has lured big directors to its platform before -- see the Coen brothers with The Ballad of Buster Scruggs -- but Roma is on another level. It's been featured on the top 10 lists in Vanity Fair, The New York Times, and more. It's been named the best film of the year by the New York Film Critics Circle and the Los Angeles Film Critics Association. It seems destined for a host of Oscar nominations, and is a strong Oscar contender for best picture. It's gorgeously shot in black and white, and will be shown in around 600 movie theaters to qualify for various awards. This thrusts Netflix into an unfamiliar space, and the nature of the streaming platform leads to a question that has big implications for the future of film: Should you watch this movie like you watch any other Netflix product? Roma begins in 1970 with the image of water sloshing in a driveway of an upper middle class home in Mexico City -- almost exactly like the one of Cuarón's childhood. The director focuses on Cleo (first-time actress Yalitza Aparicio), one of the domestic workers in this household, tracking her over the course of a year. She falls in love with an ambitious young man, who abandons her when she gets pregnant, and Cleo follows the family around, as they too are left by their patriarchal figure. Cuarón made the movie on 65 millimeter black and white film, and utilized Dolby Atmos technology, which carries sound throughout the theater. If seen in a venue that can accommodate that, you'll notice how, for example, in one scene where Cleo is singing a lullaby her voice comes from behind you until the camera pans around and she's on screen. Naturally, you're not going to get this effect sitting on your laptop, and certainly not if you're watching on a phone. And yet, there's an argument to be made that Roma would not exist -- or would, at least, reach a much smaller audience -- without Netflix's involvement. US studios aren't exactly clamoring to produce black and white films in foreign languages. "A film like this, in Spanish, indigenous, in black and white and a drama, not a genre movie, we know it would have huge difficulty just finding space to be shown in theaters," Cuarón told The Hollywood Reporter. It's tough to argue with the sheer scale of Netflix and its hundreds of millions of subscribers around the world. This is just the beginning of Netflix's push into prestige filmmaking, as the service is earning a track record of luring auteurs by offering them what they say no one else will. Next year it will drop Martin Scorsese's latest, The Irishman, which languished for years before the streaming giant picked it up. Roma would not mark the first time Netflix has entered the Oscar race -- far from it. The company scored its first nomination in 2014 for the documentary The Square. A year later it released Beasts of No Nation, starring Idris Elba, its first narrative film to gain traction in the Oscar race, but that movie ended up getting shut out when nomination time came around. Last year, Netflix finally made headway in fiction races with Dee Rees' Mudbound getting nods for Supporting Actress, Original Song, and Cinematography. But there were arguments that Netflix did not do enough to promote and support that film, which debuted way back in January 2017 with buzz. That's because the distributor stubbornly refused to budge from its day-and-date release strategy, giving it a brief qualifying run but no substantial theatrical release. Later, Netflix CEO Reed Hastings said it was viewed over 20 million hours, but that didn't win over Academy members, some of whom voiced frustration speaking with Vulture in a March story. “I’ll tell you, there is something about when you see a big Netflix logo in front of [a film]. It doesn’t make you feel all warm and fuzzy," one said. The anti-Netflix sentiment extended to Cannes, where eligibility restrictions necessitate a French theatrical release. The way Netflix framed it, these rules essentially forced it to pull its films from competition. How has Roma changed the game? That in turn made some journalists begin to question Netflix's plans for the film. Would the executives drop it on its platform like they did Mudbound? Or would it get some sort of special treatment? Netflix did in fact start to change its tune. Namely, it gave the film a three-week theatrical run in Los Angeles, New York, and Mexico before dropping it on its platform. (It also awarded Buster Scruggs and the upcoming Sandra Bullock-starring Bird Box shorter exclusive windows.) 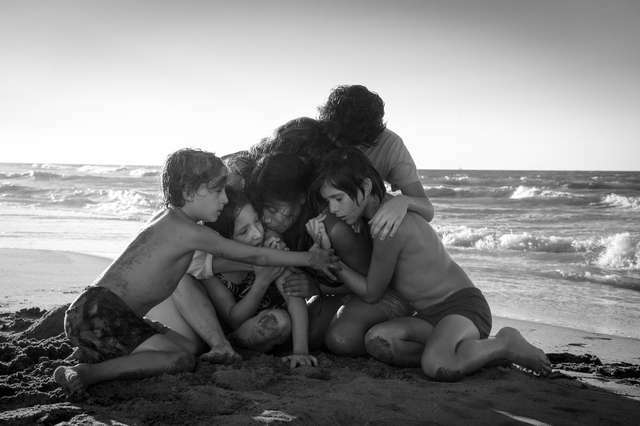 Netflix also announced earlier this month that Roma will make it to 600 theaters worldwide, including locations across the US, some of which are showing it in the beautiful 70mm format. But there are still hiccups to this plan. As The New York Times reported, chains like Regal and AMC still won't show it because they contend that movies must not stream within 90 days of debuting in theaters. Even somewhere like the Alamo Drafthouse in Brooklyn, which has the capabilities to show 70mm, noted that they wouldn't run it because, per the Times, of "a variety of circumstances that include prior commitments to other studio partners." What that adds up to is that most people won't see a likely Best Picture contender in the format in which it was intended to be viewed. So, where does that leave you, the viewer? Perhaps by now you're convinced that watching Roma is a worthwhile enterprise. But how? Well, if you listen to Cuarón himself, you should get off of your couch and head to a theater. "The complete experience of Roma is unquestionably in a movie theater," he told Variety at a premiere. And he's not wrong. Roma starts off slowly, orienting you to the household where most of it takes place. Even the most dedicated cinema lover may be tempted to check his or her phone or multitask if watching on a computer or television. It's worth letting this one wash over you. And -- on top of that -- it's beautiful big. That's one of the things Cuarón does: He makes this relatively small story feel massive, and being enveloped by his images will only enhance your viewing. But there are counterpoints. Namely, from Netflix chief content officer Ted Sarandos, who obviously believes in his model and made the case that it will play just as well on phones as it will in a darkened theater. That is maybe flippant -- I beg of you, do not watch it on your phone if you can resist -- but Netflix's model has a greater value. It's an inherently more democratic experience, as star Marina de Tavira, who plays the family matriarch, pointed out. "But still, the fact that it’s going to be on [Netflix], is going to make it go to every single corner of the world," she said. The assumption that you must see it in a theater, in the most pristine format, is inherently classist. And yet it's still worth making the effort if it's within your means. Unlike some of the other prestige projects on its roster -- which were hard to find once they launched on the platform -- Netflix actually seems to be heavily promoting Roma. 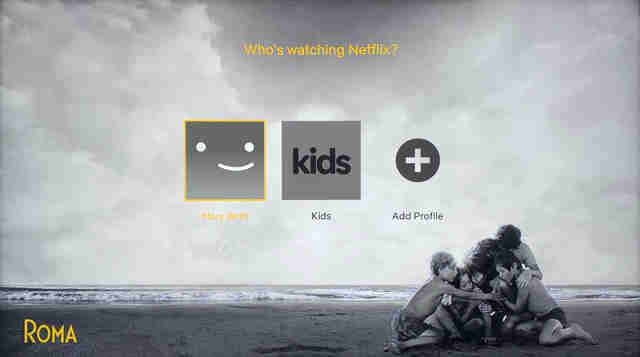 For some users, an image from it the first thing that they see when the "who's watching" prompt appears. That may not be the way that Cuarón wants you to see it, but you can't say that Netflix isn't offering you a high caliber of work at your fingertips. It just may not be in its most ideal form. Roma is already reinventing the Netflix model. If it wins a bunch of Oscars, that could be the new standard.